Fly to Latin America for Less with these Great Fares! › Fly to Latin America for Less with these Great Fares! From the beaches of Rio de Janeiro to the nightlife of Buenos Aires, and from the serene beauty of Machu Picchu to the wilderness of Patagonia – Latin America has something for all tastes. 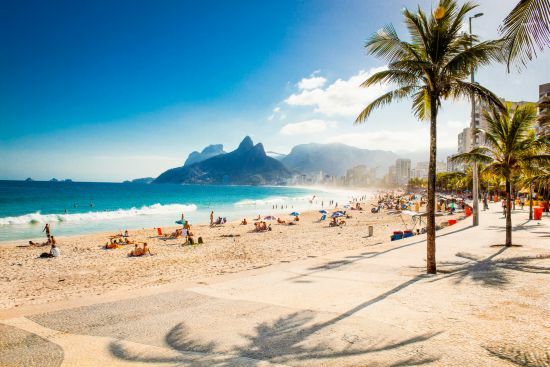 If you’re dreaming of a trip out of northern hemisphere winter into South American summer, look no further than the great low fares on liligo.com! With beautiful natural landscapes (think jungles, rain forests and soaring mountain ranges), delicious food, beautiful beaches and a lot of sun, Central and South America is the place to be during the US winter. We’ve rounded up some of the best flight deals out there. From Rio de Janeiro to Lima, Bogota to Buenos Aires, check out these great flight fares to Latin America. Check out these flight deals and enjoy your Latin American adventure for less! All prices are for round-trip fares found on liligo.com on February 9, 2018.